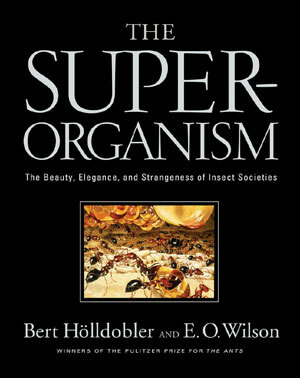 The Pulitzer Prize-winning authors of The Ants render the extraordinary lives of the social insects in this visually spectacular volume. The Superorganism promises to be one of the most important scientific works published in this decade. Coming eighteen years after the publication of The Ants, this new volume expands our knowledge of the social insects (among them, ants, bees, wasps, and termites) and is based on remarkable research conducted mostly within the last two decades. These superorganisms—a tightly knit colony of individuals, formed by altruistic cooperation, complex communication, and division of labor—represent one of the basic stages of biological organization, midway between the organism and the entire species. The study of the superorganism, as the authors demonstrate, has led to important advances in our understanding of how the transitions between such levels have occurred in evolution and how life as a whole has progressed from simple to complex forms. Ultimately, this book provides a deep look into a part of the living world hitherto glimpsed by only a very few.